With the recognition of transnational information, consultation and participation rights in EU law, a multilevel system of industrial relations has emerged thanks to which workers’ involvement in multinational company’s decision-making is taking place at local, national and European levels in various structures(works councils, boards, trade union bodies). This multi-level system poses challenges and opportunities for trade unions and employers, especially for ensuring a sound anticipation and management of change. The EWC Recast Directive provides an incentive to take up the challenges by using a still undertapped yet powerful resource: the coordination and link-up of the various levels and structures of worker representation. However, the new provisions failed to achieve their objectives as complexities and legaluncertainties remain high. Also, no such provision on the linking of levels exists in the other (SE, SCE, cross-border mergers) Directives. 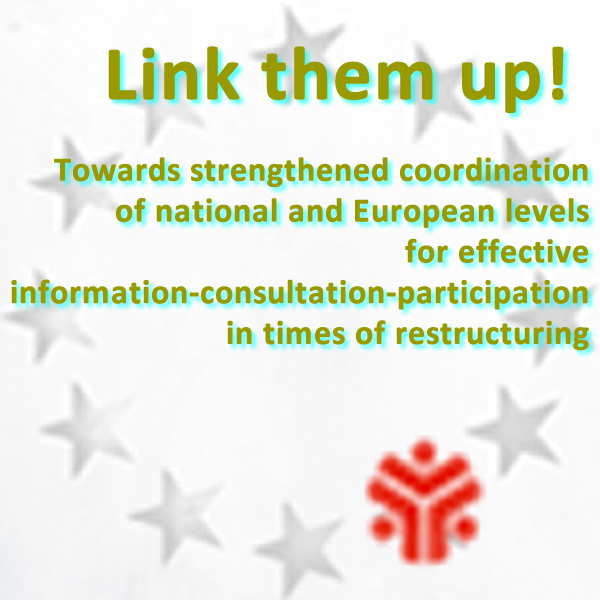 The project intends to address shortcomings by delivering practical and policy recommendations on how to better link information, consultation and participation across different levels and structures in the critical event of restructuring. Recommendations will be drawn from actual practices in the manufacturing, mining and energy sectors, as company-level trade union and worker representatives (soon to be) affected by a transnational restructuring will meet to exchange experiences, agree on a common strategy and reflect upon their practice of coordination within the framework of 12 company-based meetings. The identified good practices and their policy implications for the EWC Recast Directive and the EU Quality Framework for Restructuring will then be further discussed and developed from a crosscompany and cross-sectoral perspective at a final conference (100 participants). Resulting practical recommendations will be integrated in a thereby updated version of our Toolbox for EWCs and SE-WCs.